→Pokemon Bong – Is This Your New Favorite Bong? From bongs to pipes, bubblers, chillums and grinders, cannabis users take pride in their weed smoking pieces and gear because they are often more than functional accessories, but also pieces of artistry and craftsmanship. With the expansion of cannabis culture, 420-friendly products have become increasingly specialized, with entire markets devoted to skull bongs or girly bongs. Now, members of the cannabis world and the anime world can rejoice as the two worlds collide to produce the ultimate item for weed and fandom: Pokemon bongs. For those outside of the fandom culture and who somehow missed the Pokemon craze, Pokemon is a Japanese media franchise that began with video games and, with an explosion in global popularity, evolved into card games, an animated series, movies, comic books, mobile games in the form of Pokemon GO, accessories, apparel and toys. The name is a shortened version of “pocket monsters.” In the game, humans, called Pokemon trainers, throw a Poke ball at a creature to capture and train the Pokemon creatures to fight. Recognizable Pokemon images include Pikachu, amongst hundreds of other adorable characters, and the red-and-white Poke ball. The phrase “Gotta catch ‘em all” is a slogan in English-speaking countries. Pokemon is an internationally popular brand, with fans who not only grew up playing Pokemon in some medium or another, but who continue to play Pokemon even as adults. The widespread popularity of Pokemon is why it is surprising that Pokemon bongs and other smoking gear have only started to be manufactured in recent years. It should be noted that Pokemon smoking accessories are not officially licensed products of the Pokemon trademark. What is a Pokemon Bong? Simply put, a Pokemon bong is a regular bong that has been upgraded with Pokemon-inspired aesthetics. 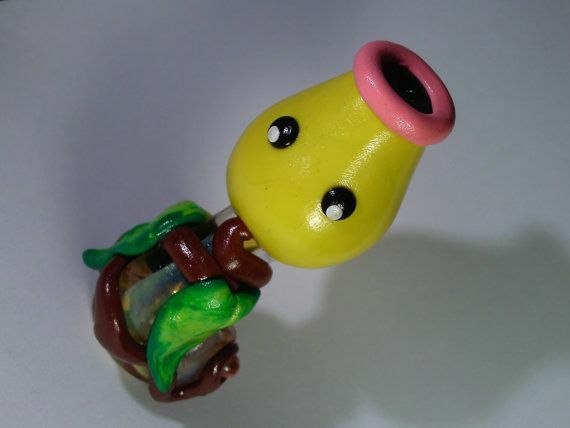 Different parts of a standard bong are made to look like Pokemon characters or related icons. Before going into all the various Pokemon bong parts, it might help to break down the parts of a bong and explain the terminology. A standard bong has a few pieces that go together. The mouthpiece is the large opening at the top through which the user inhales. The long tube through which the smoke rises is called the chamber. The downstem is the glass tube that goes into the water at the bottom of the bong chamber. The bowl that holds the weed fits into the downstem. Some bongs also have a carb, which is a hole in the chamber to allow for ventilation. For bongs without a carb, the user can remove the bowl from the downstem to clear the bong smoke. Various bongs can also be designed for improved filtration, such as those with percolators, which add an additional filtration step in the smoking process by forcing the smoke back into the water and up through the chamber. Some percolators are built into the bong, and for bongs without a percolator, users can get a percolator attachment. Another bong modification is an ice catcher, which as the name suggests catches ice that the user can put in to cool the smoke for a smoother hit. 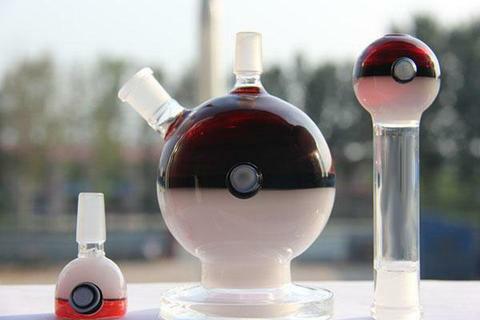 The Pokemon bongs on the market vary. Some Pokemon bongs, like the one being smoked in this video from Best Belgium Videos, have a slide bowl shaped like a Poke ball. Other Pokemon bongs might have the entire base of the bong shaped to look like a giant Poke ball with a matching red chamber coming out of the base. 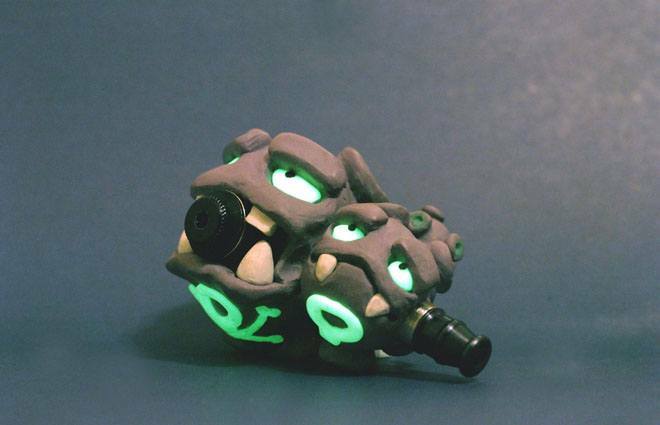 Other Pokemon bongs have bases shaped like a Pokemon creature, or they can have Pokemon creatures painted onto the chambers. The benefits of a Pokemon bong combine an appeal for Pokemon fans with the more healthful smoking method that a bong provides. Since bongs use water to filter the smoke before inhalation, they are not as damaging as pipes to the throat and lungs. 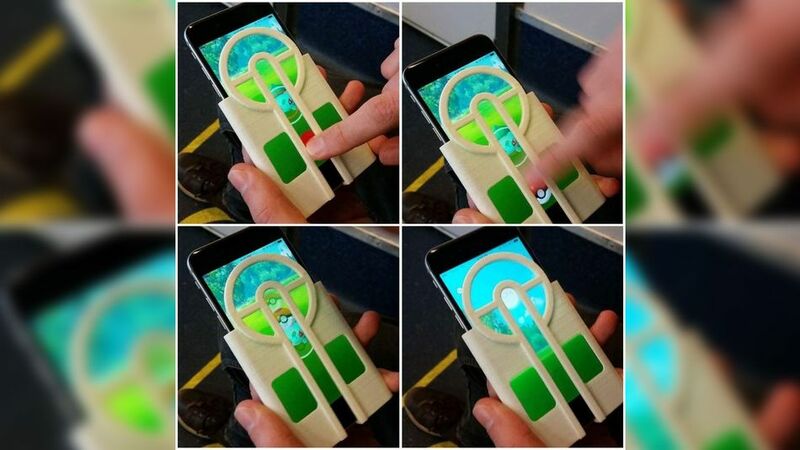 In combination with Pokemon, they go from standard to awesome. In addition to Pokemon bongs, there is a vast array of Pokemon-related smoking pieces and accessories that cannabis users can collect. Pokemon vapes often have the chamber shaped like Poke ball. There are also numerous Pokemon pipes, with creatures like Bulbasaur or Charizard wrapped around the bowl, or even pipes shaped like Pikachu with the bowl as its stomach. On the topic of pocket monsters, there are also several smoking stones on the market that are shaped like various Pokemon creatures, such as Pikachu or Jiggly Puff. Smoking stones fit easily in the pocket. In terms of smoking accessories, there are numerous Poke ball grinders made out of aluminum or carved out of wood. 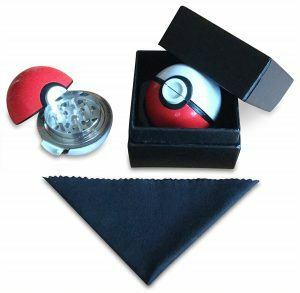 Top Rated World Class Pokémon Pokeball Herb Grinder FREE CLEAN CLOTH and GIFT BOX ! !